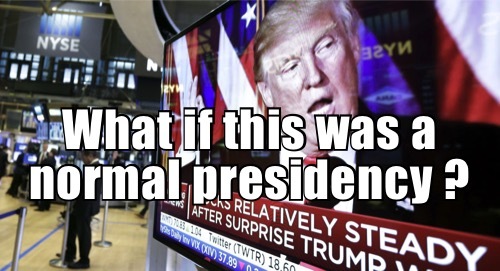 Imagine if we had a normal presidency. Actually, that may not be a good idea – the last several presidencies have had weak performing economies. Now we have this. Love Him Or Hate Him – the economy is doing better than years gone by. Is it possible that President Trump is the new normal?